Laurea in Economia e Commercio (orientamento in Economia Politica). Honorary Fellow (Supervisore: Prof. Steven Durlauf). Tesi: “Essays on Human Capital and Economic Growth”. - Borsa di studio, Università di Pisa (1995-96). - Premio, University of Wisconsin (2004). 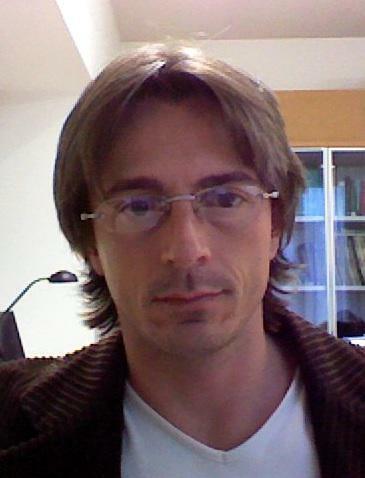 2006-2008: assistente al corso di macroeconomia(Prof. Carlo Casarosa) dipartimento di Scienze Economiche (Università di Pisa). 2005-2007: Professore a contratto presso la Scuola Superiore per Mediatori Linguistici (SSML) (Via Santa Maria 155, Pisa). The Berkley Electronic Journal of Macroeconomics, Economics Letters, The Journal of Economic Behavior and Organization, The Journal of Socio-Economics, Review of Education Economics, Environmental and Resource Economics, Metroeconomica, European Journal of Political Economy, International Review of Applied Economics, The British Journal of Mathematics & Computer Science, Journal of Economic Dynamics and Control. Structural Change, Dynamics, and Economic Growth (Livorno). Sistemi operativi: Windows and Mac. Software: Office, Lotus, Macromedia and many others. Software scientifici: Matlab, Maple, S-Plus, Mathematica. “Electoral Campaigns and the Cost of Unpopularity” (with F. Pavesi) (mentioned by the Royal Economic Society as paper of particular scientific interest), Economic Inquiry, October 2017, 55(4), 1771–1791. “The Tree of Political Violence: A GMERT Analysis” (with R. Caruso and F. Schneider) Empirical Economics, January, 2017: pp 1-12, doi:10.1007/s00181-016-1214-1. “Family Businesses in Eastern European Countries: How Informal Payments Affect Export” (with L. Dal Maso and N. Lattanzi) Journal of Family Business Strategy, 2015, 6(4), pp 219–233. “A note on intergenerational schooling mobility” Review of European Studies, 2012, Volume 4(4), pp 121-127, 2012. “Education As a Social Agreement” Journal of Socio-Economics, 2012, 41, pp 8-17. “Human Capital, International Trade and Technology Diffusion” Economia Politica - Journal of Analytical and Institutional Economics, 2010, XXVII(2), pp 329-349. “Trading Knowledge” Journal of Computational Optimization in Economics and Finance, JCOEF, 2009, 1(2), pp 75-92. Human Capital and Economic Growth: A Selective Survey in Thomas Bassetti and Filippo Pavesi (eds. ), Economics at Work - Essays on Knowledge, Information and Social Interactions, MUP- Parma (Italy), 2013. Education and Poverty in a Solow Growth Model in Neri Salvadori and Arrigo Opocher (eds. ), Long-run Growth and the Standard of Life, Edward Elgar Publishing, 2009.